This regularly happens to me. I’ll be talking with someone and they’ll say something that catches my attention. I’ll then quickly write it down, often times into the notes section of my phone. Later I’ll revisit it to see how I can apply it to my life or save it for later. It may relate to God, relationships, culture, ministry, parenting, leadership, etc. Whatever it is, I know when I hear it that it’s good stuff. It was a simple statement. A profound one. And the youth pastor didn’t even realize it. It was something I’d thought about, but hadn’t categorized. I knew I wanted those 3 characteristics to be true of my speaking that day. What I didn’t realize was how those 3 characteristics would shape me as a speaker going forward. I’ve thought about these 3 characteristics quite a bit over the years, and when I pray that short prayer each word has a specific meaning to me. To hold myself accountable and to get better, lately I’ve been trying to ask some of the following questions after each message. Did I show that I cared about the content and people listening? Did I speak with emotion and inflection? Did I bring out the excitement within the text of the Bible I’m speaking from? Did I honor God with my words? Did I faithfully represent what other authors I quote were trying to say? Did I tell the truth in the details of the message? Did I honestly represent my beliefs and not try and seem like I had all the answers? Did I give people a reason to think I’m a person of integrity after my message? Did I allow God to lead me while speaking? Did I allow my beliefs to have greater influence in my presentation than my fears? Did I convince others that I personally believed what I was trying to convince them of? Did I communicate in a way that caused others to experience some level of conviction about the topic I spoke on? Praying for this to be true of my speaking has made a significant difference. These 3 characteristics don’t encompass everything I want to be true of my speaking. There are certainly other things I aim for like simplicity, clarity and practicality. I have a process for my preparation and an approach for my delivery. I’m unapologetically trying to reach non-believers in every message I give. I am influenced by certain speakers. I have many convictions that I hold to. And I’m still learning a lot about how to communicate. But at the end of the day, if I am speaking with passion, integrity and conviction I can sleep well that night. 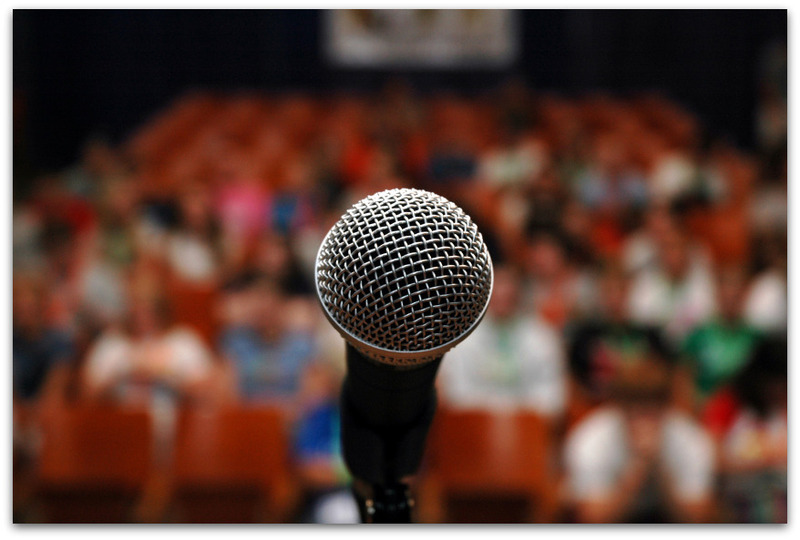 You might not give formal presentations on a regular basis, but you still interact with people. Do others think of you as someone with passion, integrity or conviction? What other characteristics do you think are important for communicators to have?